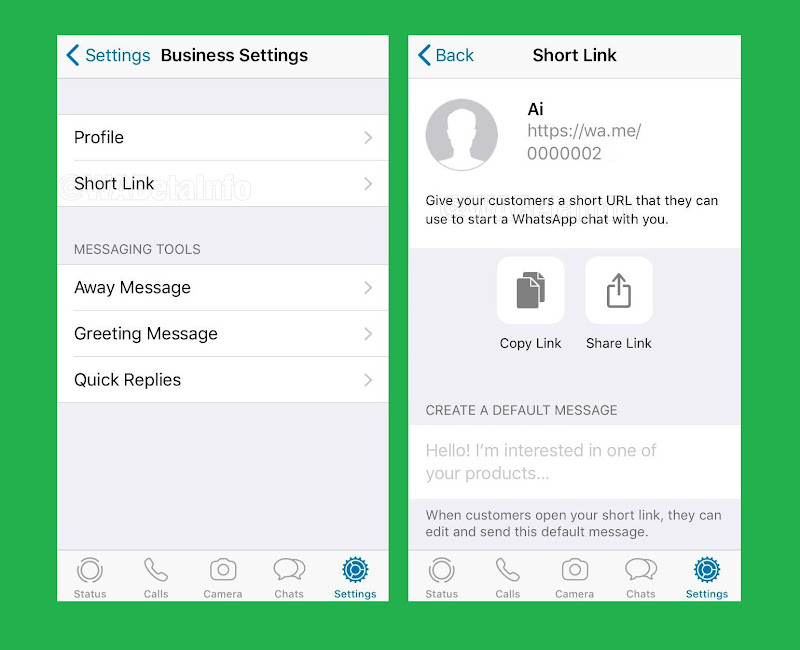 Whatsapp's new Short Link feature is exactly what the Business Users Needed! When Whatsapp finally introduced the public beta program to Whatsapp Business, it became clear that the cross-platform messaging service will be trying out new and exciting features for it (business users specifically). Interestingly, this turned out to be true! So, Whatsapp has finally released a feature recently. However, it is for Whatsapp Business only. The new feature is called “Short Link” and it will be accessible for users with beta version 2.19.21.5. Although there’s a chance that the previous versions might also incorporate this feature, it is best to keep the app updated. It should be mentioned here that for Whatsapp Business for Android, the feature was available already. Now, coming to the functionality of the feature, “Short Link”, makes it easier for business users to get in touch with their clients and/or customers. The feature can be accessed by visiting “Business Settings” and then selecting “Short Link”. Once the “Short Link” icon is tapped, the full details and functions of the feature are displayed. There are a few screenshots of the new update too. WA.ME is an integral part of the new feature. It was introduced last year to Whatsapp beta for Android 2.18.138 and it grants a user to access a particular chat. Now this is where “Short Link” comes into play. It can allow a user to check their own wa.me link, which they can then either copy or share with their potential clients/customers. Related: Two new Features Reportedly Being Developed for Whatsapp's Next Update! According to WAbetainfo, when the short URL is sent to the client/customer, they can use it to initiate a chat with the sender. A default message will also be available which they can either edit or send as it is to the sender. The feature sounds quite interesting and can help businesses in reaching out to their target audience in a much more convenient fashion.